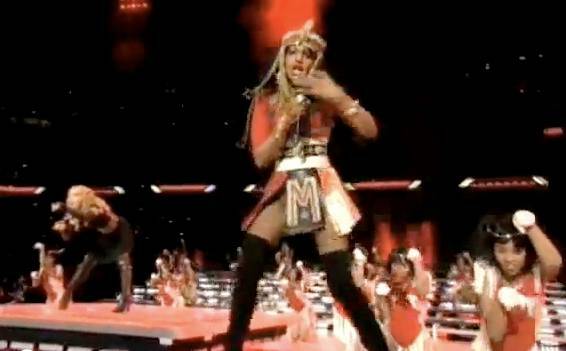 Who says MIA has sold out by appearing on the biggest show in the nation? The controversial musician gave the camera the finger to us all at this year’s Superbowl. This entry was posted in news and previews, the latest and tagged half-time, M.I.A., Madonna, Music, Superbowl. Bookmark the permalink.